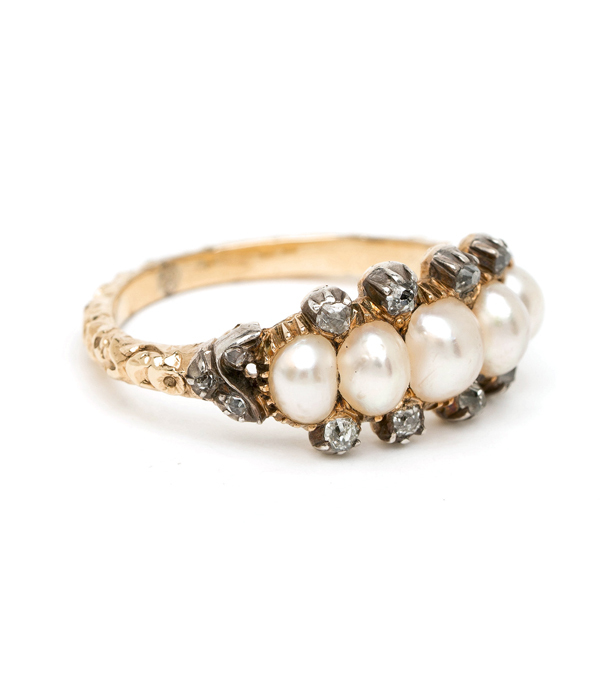 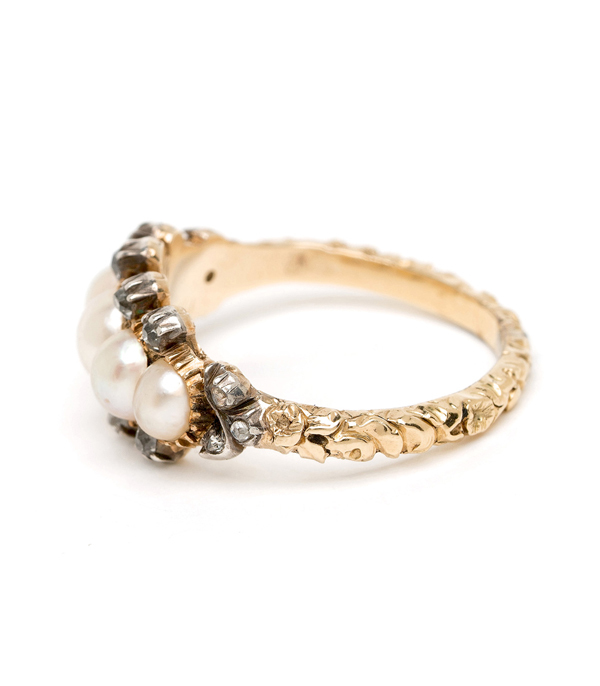 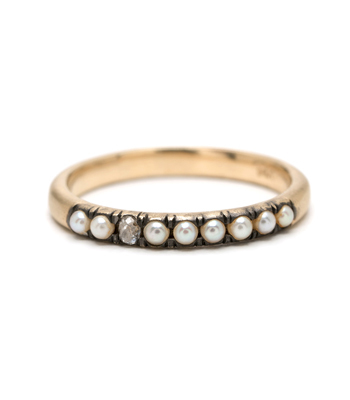 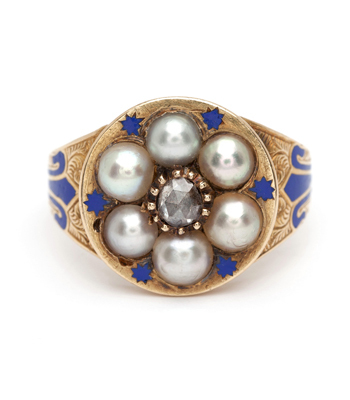 As feminine as it is edgy chic, we are head over heels for this Georgian (c1800-1820) pearl and diamond ring on a chased 18K gold band. 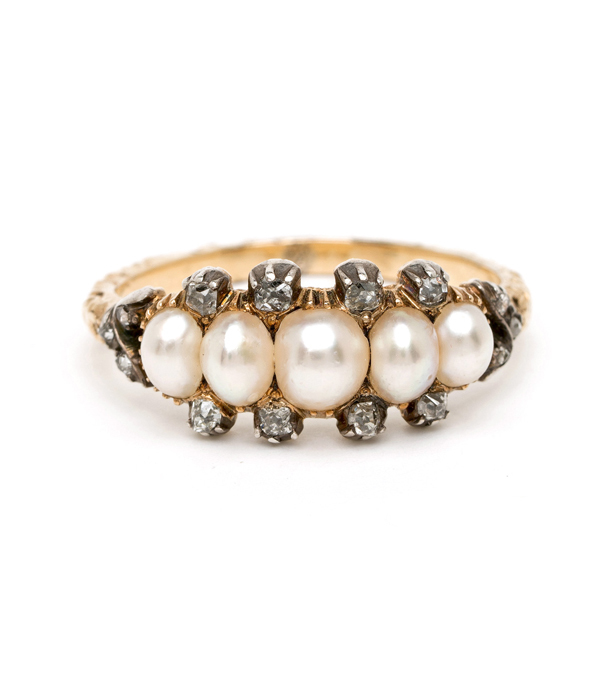 Five natural pearls with the most delicious luster are framed with small collet set old mine cut diamonds, creating a punctuated border around an otherwise classic and reserved band. While we find it beautiful on it’s own, it will take your stack game to the next level when paired with additional diamond bands.